What is common between Connected TV services, Smarthome remote control, Machine to Machine(M2M) and Internet of Things (IoT) network backhauling? Well, according to the author of this article, all of them can derive their best performance from the SmartLNB solution that has been designed by Eutelsat and is powered by TeamCast. The Smart LNB opens the door for broadcasters to operate their own ecosystem of linear and connected TV services directly via satellite. The Smart LNB is a new generation electronic feed mounted on a satellite antenna with an embedded transmitter to provide Connected TV and M2M services. Target services include: payment transactions, subscription-based and on-demand services, home automation, hybrid broadcast broadband TV (HbbTV), pay-per-view, social networking, live show participation, subscription management and audience measurement. The Smart LNB provides a narrowband return link, optimized for short transmissions with low duty cycle. The Smart LNB is an enabler for non-linear and interactive TV services and allows a satelliteTV platform operator to leverage the advanced developments of web applications and services which have, so far, only been accessible to terrestrial and OTT operators. Smart LNB builds interactive services based on a complete satellite infrastructure, available everywhere, and at low cost. Thanks to the use of IP and the availability of a return channel, TV services can be easily managed using tools widely used in existing web platforms. Specifically, Digital Right Management (DRM) systems can be integrated using existing and approved solutions from market providers. Beyond TV services, the SmartLNB solution provides IP connectivity for a variety of applications in which small volumes of data are collected from, or exchanged with, remote devices. These applications are numerous and are constantly on the increase. 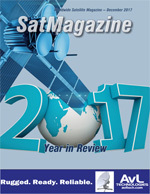 In addition to the traditional advantages of satellites for ubiquitous, secure and resilient communications, Eutelsat’s SmartLNB now offers the cost-effectiveness required by the growing democratization of narrowband traffic applications, both in terms of equipment costs and optimization of the satellite capacity. Backhauling of IoT terrestrial networks. The low transmission power required by the terminal implies a low production cost for the equipment; thanks to the innovative and exclusive transmission protocol, SmartLNB-based networks reach high spectral efficiencies that dramatically reduce the satellite capacity costs. Service cost per unit is comparable with what is proposed today with 2G/3G terrestrial modems. The SmartLNB solution offers a dedicated bandwidth and guaranteed Quality of Service (QoS) on a network fully dedicated to the service and not subject to congestion or jamming. The SmartLNB is based on the Eutelsat Broadcast Interactive System, an IP network composed of a satellite hub that can manage millions of remote interactive satellite terminals. At the heart of the satellite hub is the SmartGate product, developed by *TeamCast in collaboration with Eutelsat. SmartGate is a state-of-the-art DVB-S2/S2X satellite modulator which embeds an advanced and powerful filtering and routing process, a layer 2 and 3 optimized IP encapsulation with full management of DVB PSI/SI tables. SmartGate is a real and compact IP and Ethernet Gateway for satellite network with ultra-low latency for satellite access. Furthermore, SmartGate integrates a powerful and accurate frequency synchronization process which is one key feature of the system that makes it possible to easily manage millions of remote satellite terminals on the same frequency. A typical installation is composed of a standard satellite dish on which is installed the SmartLNB terminal that provides a two-way IP link over satellite optimized for bursts and message-type traffic on the return link. Terminals operate in Ku- and Ka-bands, using DVB-S2 in the forward link and an asynchronous access scheme based on spread spectrum technology in the return link. The Smart LNB is suitable for mass market installation with a target cost of less than 100 euros. The product can be coupled with an external LNB for multi-satellite installations. For existing installations, the Smart LNB can reuse existing coaxial cabling. The Smart LNB can be connected to home IP networks as well as to legacy STBs or satellite-enabled TVs via a small splitter. Future interactive STBs or home gateways will be able to directly connect to the Smart LNB and fully exploit its benefits. The Smart LNB is a result of a long development effort led by Eutelsat, supported by ESA, the European Commission and by TeamCast as equipment provider and is based on widely adopted standards such as IP, DVB-S2, ETSI S-MIM. The SmartLNB solution can be deployed to mass market scale at low cost for the satellite connectivity using Eutelsat’s worldwide satellite footprints, with uniformity and simplicity of deployment independent from any local constraint. Connection for Home networks and appliances. Eutelsat’s SmartLNB connectivity solution for M2M applications and IoT backhauling is already available in Europe, MENA and the Americas and is also under deployment in a number of additional regions. Satellite wide-beams ensure 100 percent coverage of territories without “white spots” and are an essential complement to terrestrial infrastructure. The Smart LNB provides a cost-effective solution for interactive broadcasting, Home IoT and M2M services, scalable to tens of millions users, with simple, consumer-grade equipment. This target can be reached thanks to cutting edge technologies, such as bandwidth efficient protocols and High Throughput Satellites (HTS). 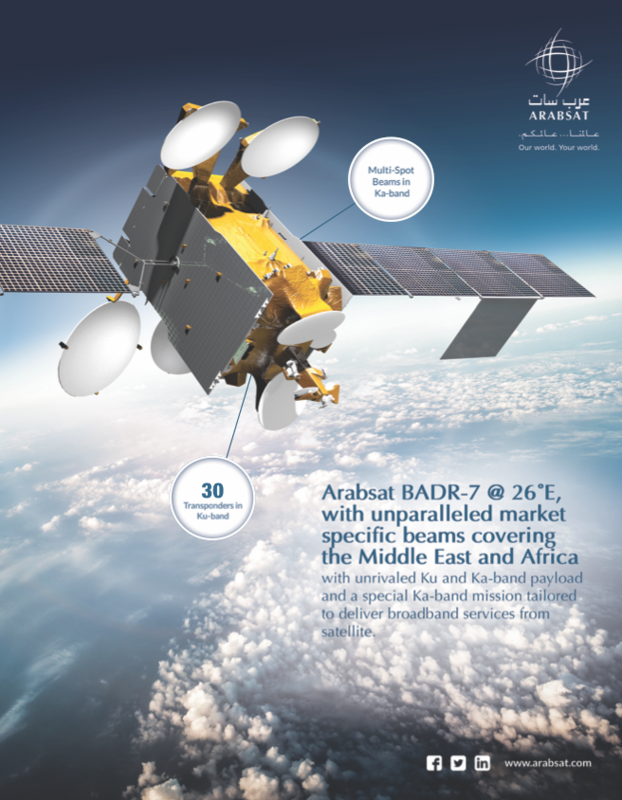 Editor’s Note: Some elements of the preceding text and figures were provided by Eutelsat. Christophe Trolet is managing the TeamCast Solutions Business Unit which is in charge of the Satellite and Wireless Markets for TeamCast. He joined the TeamCast startup company in 2003 as the sales manager and, in 2010, Christophe established the TeamCast Solutions Business Unit and established a new worldwide recognition for TeamCast in satellite transmission in just a few years with up-to-date and innovative products.